Home > Services > The Philips Affiniti 70, is a high-end shared service ultrasound machine that was developed in 2014 from the premium Epiq 7. The Philips Affiniti 70 is unique in the high-end price category in offering ShearWave. As a shared service ultrasound machine the Affiniti 70 excels at cardiology as well as women’s health, vascular and radiology applications. Philips is most well known for its cardiac imaging superiority over other brands, but the Philips Affiniti 70 is also amazingly feature rich with excellent image quality at its price level. 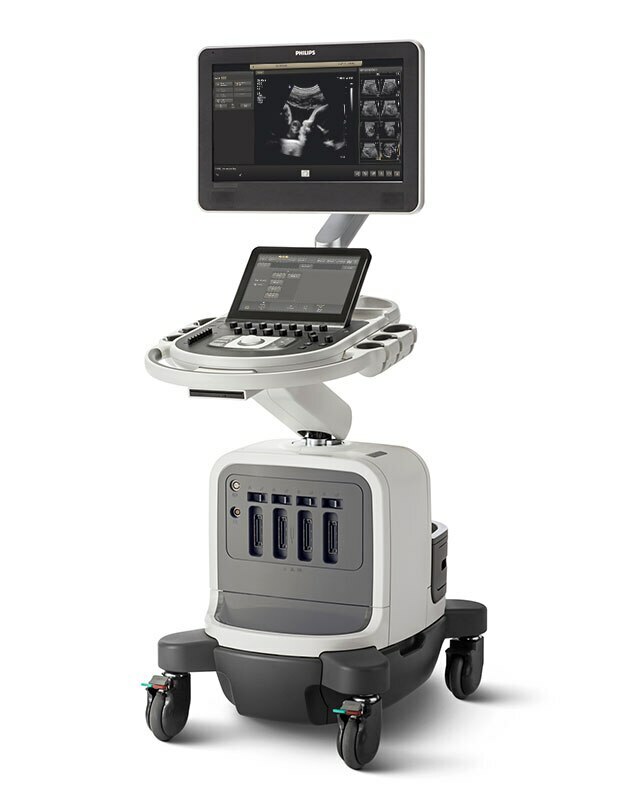 The Philips Affiniti 70, is a high-end shared service ultrasound machine that was developed in 2014 from the premium Epiq 7. The Philips Affiniti 70 is unique in the high-end price category in offering ShearWave. As a shared service ultrasound machine the Affiniti 70 excels at cardiology as well as women’s health, vascular and radiology applications. Philips is most well known for its cardiac imaging superiority over other brands, but the Philips Affiniti 70 is also amazingly feature rich with excellent image quality at its price level.